Tim is a Founding Partner of Made by Many, a consultancy designed to help businesses to become digital faster, focus on the right opportunity and champion a new mindset. His day job involves helping C-level clients in global organisations to understand and meet the challenges and opportunities created by rapid, continuous, disruptive change. 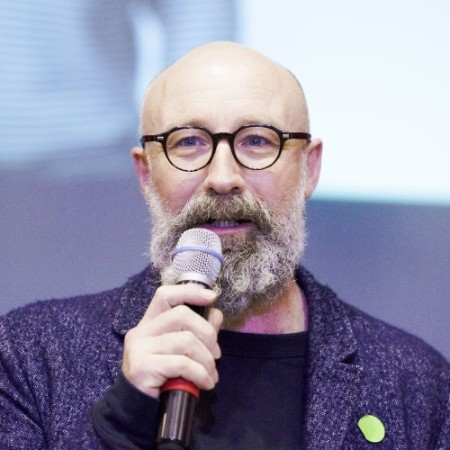 He is a passionate design thinker and an engaging and original speaker who is not afraid to poke fun at himself, the strange industry he works in, or the insane world of new experiences and new behaviours unlocked by the tools and experiences he's involved with designing. Tim 'joined' the Internet in 1999 at digital incubator and agency Interesource in a hybrid role as strategist, product manager and designer where he worked with start-ups as well as major financial services and media brands including the London Stock Exchange and Lloyds of London, the Daily Telegraph and BBC. He set Made by Many up in 2007 to help corporates develop start-up super-powers using a product-driven approach to deliver tangible and testable ideas into the hands of customers within 100 days to create immediate business impact. Tim is the UK's Ambassador for the Webby Awards, and an executive member of the International Academy of Digital Arts and Sciences. He was once named as one of Revolution Magazine's 'Future 50'. More recently he was listed as one of the "100 most influential people across the breadth of the UK’s digital marketing industries" in The Drum Digerati. Bringing employees into the heart of the transformation is the best way to reap the value of human centered design. This approach not just empowers employees, but also provides the sense of ownership. This is particularly effective in the context of a broader digital transformation at an enterprise level. Coupled with a product-driven approach, you can make the ideas tangible and create immediate business impact. This session will provide you with tips on getting it right, as well as real life case studies of co-creation, resulting in dramatically increased productivity, engagement and a happier working environment.